These cuddly dogs were bred to resemble lions, but they really look more like teddy bears. Learn more about these impressively large canines. 1. THEY HAIL FROM GERMANY. Essig claimed that his lion-like dogs only came from those three breeds, but today’s experts are skeptical. Many believe that the dog must have been made using a wider range of types to achieve its unusual looks. 2. THEY WERE LOVED BY THE RICH AND FAMOUS. Essig was an amazing salesman who was able to smooth-talk his way into the homes of royalty and celebrities around the world. He also used his position on the town council to promote both his town and the dogs that shared the town’s name. Leonbergers were soon owned by Giuseppe Garibaldi, the Prince of Wales, King Umberto of Italy, and the Czar of Russia. 3. WORLD WAR I ALMOST WIPED THEM OUT. 4. YOU CAN TELL THE SEXES APART. Leos are dimorphic, meaning that the female and male dogs are noticeably different. Males are bred to be more “masculine” and generally heftier dogs; on average they weigh about 132 pounds, while females weigh an average of 105 pounds. 5. THEIR LITTERS ARE (USUALLY) AVERAGE-SIZED. Typically, Leos don’t produce very many puppies at a time; litters have six puppies on average. 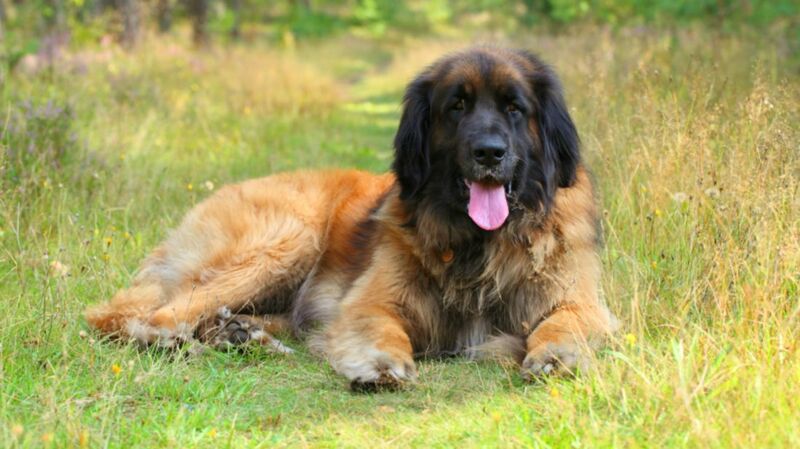 In 2009, one Leonberger surprised its owners by giving birth to 18 puppies. Thought to be a breed record in the United States, the impressive number of pups kept their family very busy. The mother, named Ariel, had previously given birth to a litter of four puppies. Before she delivered her second, considerably larger litter, her owners were unable to tell how many puppies would be delivered, even with an ultrasound. “We knew it was at least 10,” they said. 6. THEY’RE IN TUNE WITH YOUR EMOTIONS. 7. THEIR SENSITIVITY MAKES THEM GREAT THERAPY DOGS. 8. THEY SHED A LOT. 9. THEY MAKE GREAT SEARCH AND RESCUE DOGS.